If there were still any doubts that Busch Gardens Williamsburg is planning a Premier Rides launched coaster for 2015, this article from BGW Fans should nicely squash them. The website was able to obtain a full set of plans for the ride, showing various details and layouts that leave little left to the imagination. The new ride is being called Diavolo on the planning documents, but as BGW Fans is quick to point out, that is not expected to be the coaster's final name - only a placeholder. 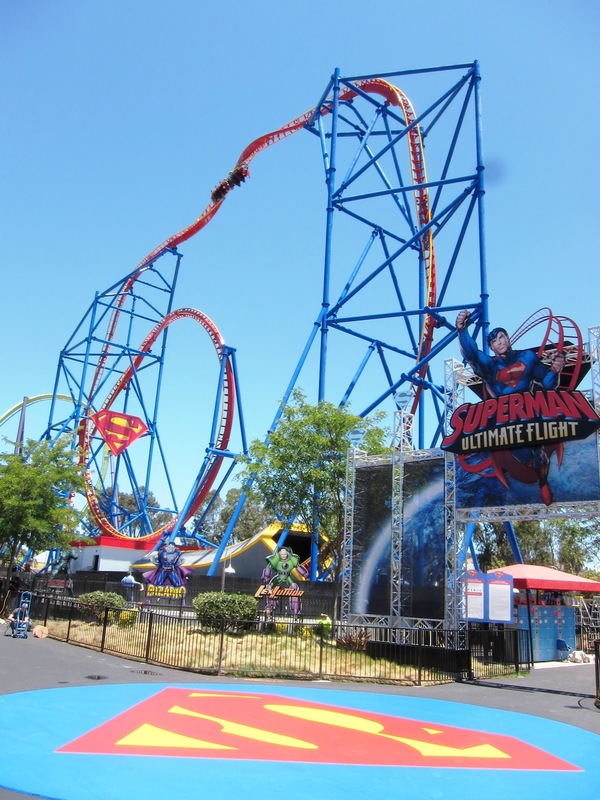 The ride will be a clone of Superman Ultimate Flight at Six Flags Discovery Kingdom, other clones of which have opened or are opening in Germany and Mexico. The Busch Gardens Williamsburg version will feature three car trains according to the documents, increasing capacity a bit. That's still only 18 riders per cycle, so expect a long line for this one. The theme of the ride seems pretty wacky, something along the lines of stunt bicycling in a carnival type atmosphere. See all the plans on BGW Fans' website. So sad. What a complete waste. I guess I always held them at a higher custom designed standard. Ever since that continuously closing drop tower Busch Gardens has been going down hill, being the primary reason my family visits are almost nonexistent.